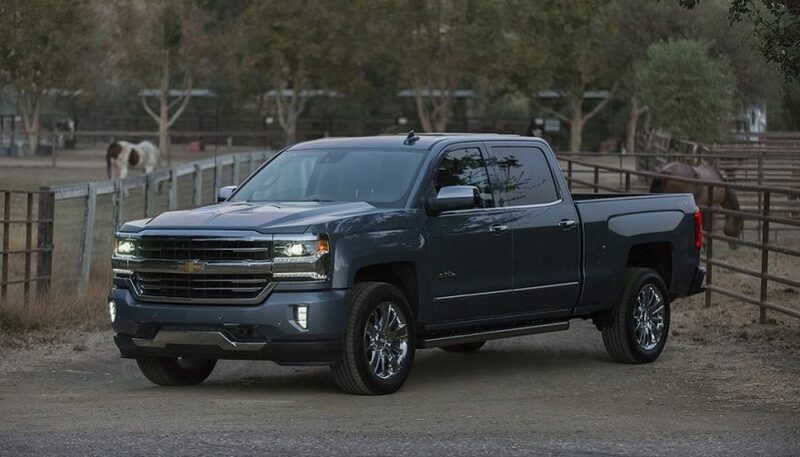 The full-size truck market is always hot, and the Chevy Silverado 1500 is always a player. It’s consistently a bestselling truck. Thanks to stiff competition from Ram and Ford, the Silverado must be good at all things, or all things that even remotely matter to truck shoppers. Nissan has been turning the heat up lately, too. So you’d expect the Silverado to definitely look good on paper. You get three engine choices with the Chevy Silverado 1500, which is a fairly good variety. First off is the 4.3-liter EcoTec3 V-6, which provides a healthy 285 horsepower and 305 lb-ft of torque. In the middle of the pack, the 5.3-liter EcoTec3 V-8 provides a solid uplift with 355 horsepower and 383 lb-ft of torque. Then there’s the 6.2-liter EcoTec3 V-8, which hits hard with an impressive 420 horsepower and 460 lb-ft of torque. All three engines include Active Fuel Management, where half the cylinders shut down when you’re just cruising along. You can get an 8-speed automatic transmission, which has a tow/haul mode. The alternative is a more old-school 6-speed automatic. This truck comes with or can be outfitted with all kinds of utilitarian features. 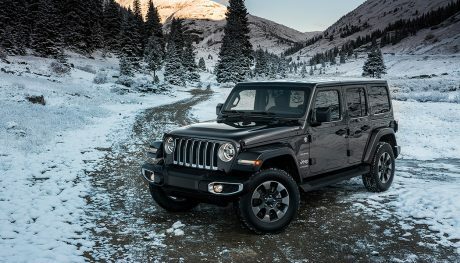 There’s an integrated brake controller, a transfer case shield, an engine block heater, capless fuel filler, and an automatic locking rear differential, to name a few. You can also get Magnetic Ride Control, which I assure feels amazing on even the roughest roads. The Z71 Off-Road Package adds a thicker front stabilizer bar, jounce bumpers designed for big hits on trails, 46 mm high-pressure gas-charged shocks, a high-capacity air cleaner, hill descent control, and several cosmetic upgrades. Most of the interior features and options are standard fare for vehicles these days. One of the standouts is the 4G LTE mobile WiFi, which provides a quicker connection than systems in competing trucks. Like with competitors, you can get all kinds of luxurious finishes nobody in their right mind would want to get covered with dirt and grime, like ash wood inlays and cushy leather. That, to me, does defeat the purpose of a truck, but whatever. I appreciate that Chevrolet has worked hard to keep the meat-and-potatoes vibe with the Silverado, while still making it look modern. It’s a truck, meant to do truck things, and should look the part. However, I’m not a fan of the skinny headlights. The rest of the exterior styling hits all the right points. That chunky, meaty design language continues into the cab. Too often, automakers have schizophrenic designs, where the exterior and interior don’t match up. That’s not the case here. I love the large center console, which you could shove all kinds of stuff inside, plus deep door pockets and other big storage areas. The controls are big, so you can use them with work gloves on. 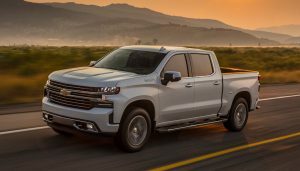 You feel like you’re in a truck, but there’s enough comfort to take the Chevy Silverado on a long road trip and not be in misery the next day. I’ve driven big, heavy trucks and machinery, so to me the Silverado handles spryly. If you opt for Magnetic Ride Control, it’s almost sporty, at times. Even with the stock suspension, you’re surprisingly cushioned from bumps in the road. Steering feels reasonably direct and tight, so no complaints there. As for the engines, the V-6 gets the truck moving fairly quick and feels strong enough for Ikea runs. To be honest, the only people who will get it are unnecessarily worried about trucks with good fuel economy to be buying a truck. The 6.2-liter V-8 is a blast, making the Chevrolet Silverado feel like an unhinged beast at WOT. But it’s not fuel efficient in the least, plus some people might find the cost a little much. In other words, the 5.3-liter V-8 is the perfect compromise. It pulls strong, and it can handle hauling and towing duties well enough for what most people need. Automakers try to play up their different truck accessories, as if competitors don’t match most of them. Besides, with the aftermarket parts options out there, I honestly don’t pay attention to these overpriced add-ons anymore. The bed area is sufficient, but if you opt for the long bed with a Crew Cab model, be prepared to feel like you’re driving a limousine. It’s a ridiculously long combination. The interior is comfy, with plenty of room on both rows. That’s no surprise, because every full-size truck offers the same thing. I hate infotainment systems, and the one in the Chevrolet Silverado is about average. Most controls are intuitive, while the gauge cluster is super straightforward. The Chevy Silverado is getting a little long in the tooth, to be honest. Still, the truck has a good design and it holds up well. It might not be the most advanced thing on the road, but it’s a sufficient tool for big projects, cruising around town, or hitting the open road. In other words, if I were in the market for a truck, I would consider the Silverado, just not the limo version. We look at 8 of the top luxury trucks of the last decade for hauling you, your gear, and your toys. With room in the bed for cargo, features, and comfort! 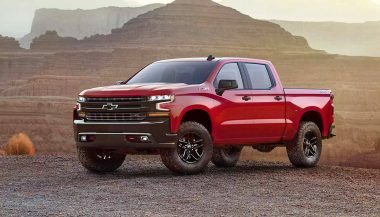 The all-new, next-generation 2019 Chevrolet Silverado made its first appearance. 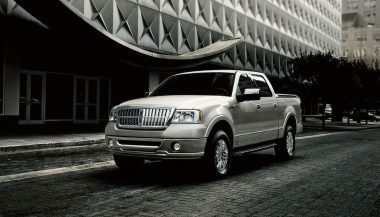 The lineup will include eight models of the pickup. 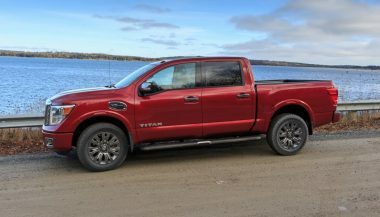 The Nissan Titan Platinum Reserve has a lot of luxurious touches, but with its 5.6-liter V8 it can still do all sorts of truck things.